I traveled to a beautiful city last night; one with beautiful lights, amazing architecture and vivid culture. The city was Buenos Aires, Argentina, during the 1940s and 50s. This is the city and time of Eva Peron, the central figure of the most recent Broadway production to come to DPAC; Evita. This story is a colorful journey of a young actress rising up through the ranks of men, eventually becoming the First Lady of Argentina. 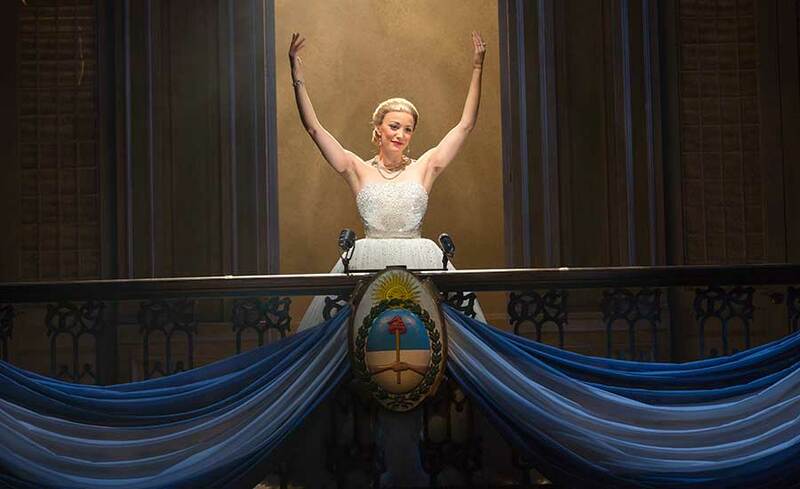 The story opens with a gripping montage dedicated to the life of the powerful figure that is Eva Peron. The scene is reminiscent of the dark streets of France as depicted in Les Miserable; the somber mood is palpable as the death of Peron is announced to her country. Josh Young, playing the role of Che, stole the show. Young was nominated for a 2012 Tony Award for his performance as Judas in Jesus Christ Superstar. He portrayed the role of Che with beautiful articulation and intonation; he brought passion and intrigue to the character. Some actors feel success if the audience can relate to the character they have taken on; Young went even farther. I could easily feel every emotion that pours from his soul; the mere look he would display at the thought of Peron told you exactly how much disdain he had for her and the government she represented. As great as Young’s performance is, the role of Eva played by Carolina Bowman can only be described as adequate. In the scene where Eva steps out onto the balcony wearing that iconic white sequined gown, and delivers the famous “Don’t Cry for Me Argentina,” Bowman did not disappoint. Aside from that one scene, she appeared to struggle with some of the dynamic shifts from singing with her “chest voice” to hitting the needed note with her “head voice” leaving her sounding unfocused or breathy. Aside from a few touching moments of vulnerability her portrayal mostly fell flat. Director Michael Grandage is also to be commended for his work with this production. His attention to detail was evident and appreciated. His use of technology from the digital age added a dynamic connection of the opening scene with Che to the closing scene on the balcony with Eva. Choreographer Rob Ashford added creative blocking and dance moves that easily identified the socio-economic status of each character. Strong, rigid movements from the elitist military were in stark contrast to the lyrical movements of the lower class. Neil Austin’s deliberate light design choices of back and side lighting added sharp angles and strong shadowing. The lighting accentuated the shady personality traits of Eva and Colonel Peron. Austin’s use of the backlighting also led the audience to believe that they were the townspeople, basking in the glow of Eva’s powerful personality. Christopher Oram served in two major capacities as the set designer and costume designer for the tour. The costumes were incredible, especially the customary white ball gown of Eva’s. Peron’s subtle transition from a young and naïve girl, to the strong and rigid leader is defined through the style, line, and color of each and every costume change. Those changes were also poignant in the way they occurred… onstage. An exquisite, yet simplified, set design from Oram gives the audience a unique perspective of the home of the Peron’s. The powerful image of the opulent mansion was understated when you consider the wealth and prestige that the Peron’s embodied. As the scenes change the genius design granted the audience the ability to travel through walls with only the movement of a chandelier. 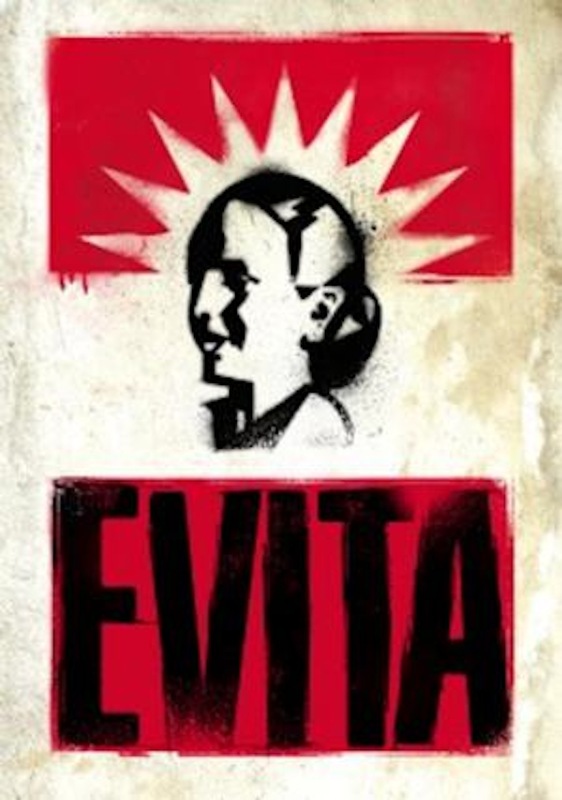 The performance of Josh Young, the direction of Michael Grandage, the costumes, the lighting, and the set all come together in perfect harmony to bring the story of Evita to life in all its glory. It is not in the repertoire of Andrew Lloyd Webber to disappoint, the fantastic cast and creative team of the tour of Evita do not let us down either.